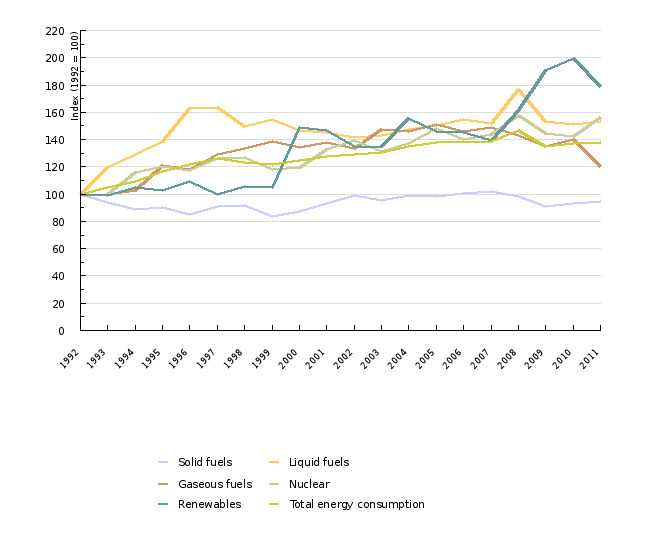 In 2011, total energy consumption increased for 0.7% and reached the peak after the year 2008. 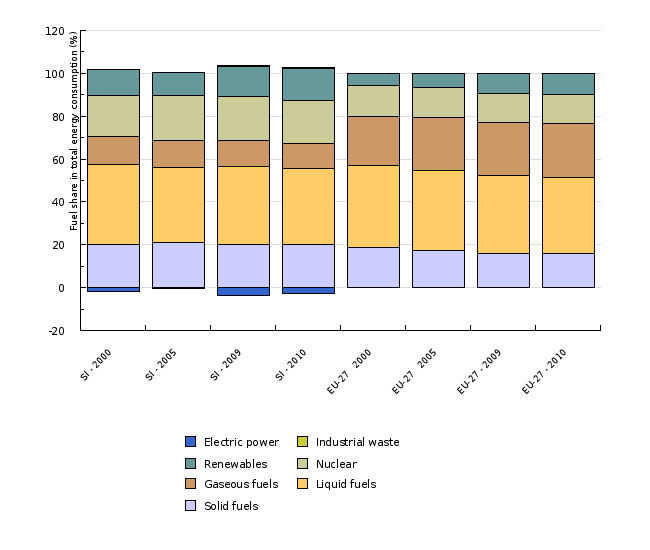 The share of liquid fuels was the highest, followed by nuclear energy, solid fuels, renewable energy sources and gaseous fuels. 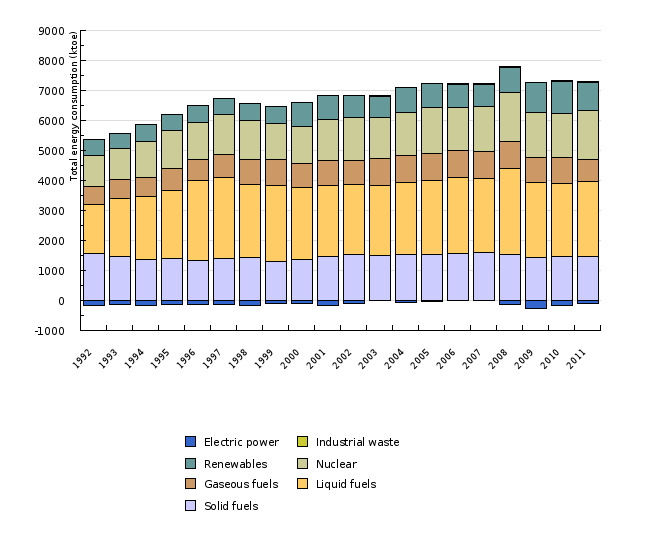 In 2011, the shares of nuclear energy, liquid fuels and solid fuels increased. 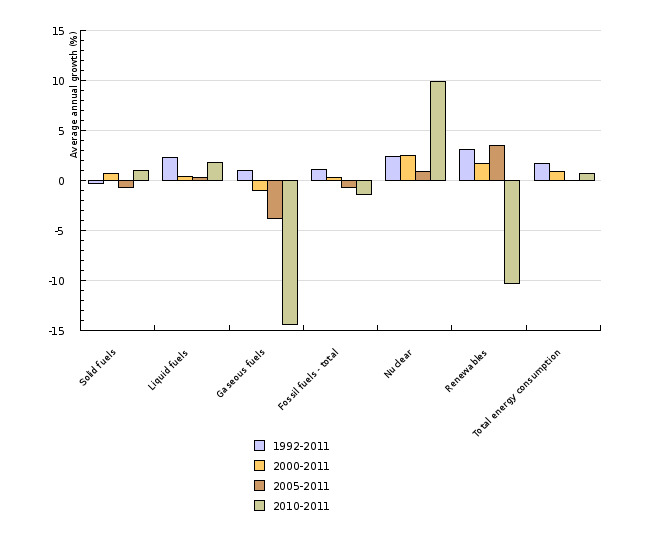 Total energy consumption growth in Slovenia after the year 2000 was higher than in the EU-27.